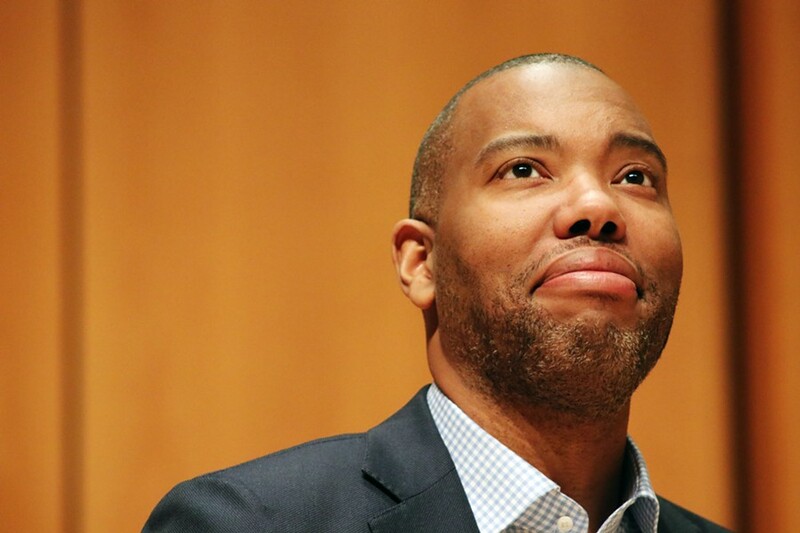 "I don't know," was Ta-Nehisi Coates's frequent refrain Tuesday night, as he fielded questions from Northwestern University sociologist Mary Pattillo and students in a packed concert hall in Evanston. The writer, who rose to prominence throughout the Obama years as a leading voice on politics, history, and black life, said he doesn't have any grand vision for what journalists must do in the age of Donald Trump, other than keep working. However, being a student of history, he isn't at all surprised that we've ended up in this moment. "Many of the questions that people are asking now about Donald Trump I don't really have. What did you expect?" 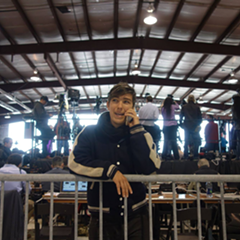 he said to the nearly 1,000 people gathered in the auditorium. "The fact that you have somebody who started their career in birtherism and ended up as the president of the United States, I think a historian would look at this 100 years from now and say: It makes sense." Coates first burst to national prominence in the summer of 2014 with the publication of his 15,000-word Atlantic feature, "A Case for Reparations," which laid out the history of the systematic undercutting of black wealth in the United States. 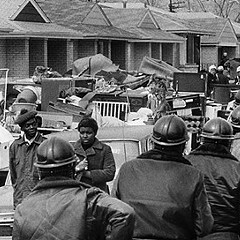 Coates focused particularly on the 20th century, when African-Americans were excluded from the government-sponsored expansion of the middle class through home ownership and were instead plunged into generations of debt and "compounded deprivation." 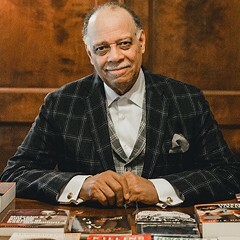 Though he could have chosen any city in America, Coates set his story in Chicago's North Lawndale neighborhood, and told it though the eyes of Clyde Ross, an African-American man who began his life in a sharecropping family in the Deep South and eventually joined the Contract Buyers League in Chicago to combat the predatory lending that flourished in black neighborhoods in the 1960s. On Tuesday, Coates was pleasantly surprised to see Ross in the the audience. Coates understands much of the backlash embodied by Trump and his white nationalists allies as a direct and logical response to a black presidency—and one not without ample historical precedent. Elsewhere in the world he observes various right-wing movements and Brexit as similar responses to nonwhite people gaining more of a foothold in traditionally white-dominated societies. "Finding linkages is very important," he explains, outlining a vision for his work in the years to come. "I'm concerned about the people living on the other side of the ledger, not the folks making the right-wing movement, but the people who are living under the boot and the things that link them." Pattillo questioned Coates about his views on what happened to the Obama electoral coalition in November. "I was trying to stave off the worst," was a lot of people's justification of casting a vote for Hillary Clinton, he opined. Coates acknowledged the virulent sexism Clinton had to deal with throughout her campaign, but, he continued, "I'm of that generation of folks who were dismissed as superpredators. It's not abstract for me— those were people I grew up with." Of the legacy of Bill Clinton's crime bill and the mass incarceration that swept black communities as a result, he said: "People remember that, man. They really, really remember that. So when it comes time to get excited about something, energy just wasn't there." To Coates, Obama's ascension didn't signal the arrival of equality but confirmed that "it was always the case that individually gifted and lucky African-Americans could go far," he explained. "The fight for equality is really the fight to be mediocre." Trump's win, he continued, is ultimately a confirmation of the firm hold that white supremacy still has on the nation—even the right to be mediocre is reserved for white people. 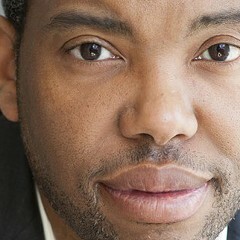 "My whole presence here is because one white dude called another white dude," Coates mused, referring to his first opportunity to write a major magazine feature in 2008, which materialized after his former Washington City Paper editor David Carr called the editor of the Atlantic to introduce him. "You get to these high institutions and you see the kind of tolerance there is for white mediocrity," he mused, "and there's no tolerance for black mediocrity." Prompting laughs and occasional applause from the audience, the conversation meandered through topics like Coates's love and respect for Chicago, his life in Paris, beginning his writing career as a college dropout, and now, dealing with fame. Pattillo asked several questions about Coates's book Between the World and Me, and the criticisms leveled against it for being too much about a particular kind of black male experience. The book was written as a letter to his son, in the spirit of James Baldwin's The Fire Next Time, and focused in large part on the killing of Coates's friend Prince Jones by a police officer. Coates said that a 150-page book couldn't possibly carry the burden of complete representation, nor should it. Instead, there should be more opportunities for different kinds of people to write books. "Literature comes from the specific," he said. "I love The Great Gatsby. 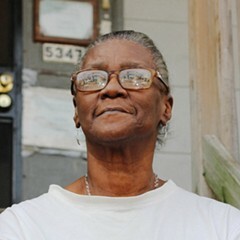 I don't need there to be more black people in The Great Gatsby." He also rejected the notion that books should offer solutions or optimism. "I don't come to literature for hope, I come to it for truth." Since the book's publication in 2015, Coates has also received a flood of feedback from disconcerted white readers, including David Brooks, who wondered whether, as a white man, he had any right to respond to it. To Coates, this and other similar responses are more indicative of white frailty than of a genuine interest in and appreciation for his life and work. 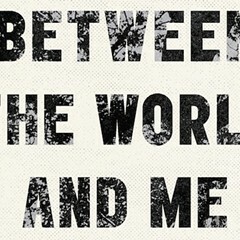 "Between the World and Me is not a book that you write to try to bridge a gap," he said. "A buddy of mine was killed by the police, and this is my response to it." While he's glad he has a white readership too, he explained, ultimately the conversation about white people's response to him is frustrating. This book wasn't written for them, he insisted. "I want to be really clear about this: It's not the fact of white people are reading this book that is depressing. It is the notion that a book that started with my friend getting killed becomes about what white people care about." The audience erupted in applause. "It's like, 'Well, what about me? Can we talk about me and my feelings again?'" As the night ended, the conversation turned back to the question of journalism under Trump. How can journalism change anything in this new era? "I don't know," Coates responded. "Smarter people than me have tried to answer that question." The answer to that question, and the effect of journalism, isn't the point of the work or even up to the writer, he said. "I read beautiful journalism all the time that has no effect at all," Coates said, citing Kathryn Schulz's Pulitzer-winning New Yorker story about an imminent earthquake in the Pacific northwest. The story hasn't lead to a mass exodus from the region, "but she did her job," he continued. "And it's the same for me. I try to do what I feel called to do." Most of the time journalism won't change anything, he insisted. Instead, those who write should find motivation in the work for its own sake, in the knowledge that they're doing what they're called to do. "It's gotta be something internal that says: 'If I don't say this, write this sentence, I'm gonna slit my throat.'"